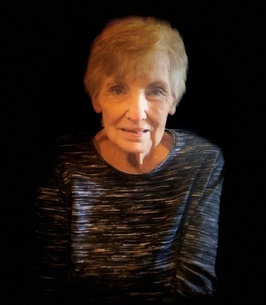 Elizabeth Ann Woodard age 69 of Clarksville, passed away November 21, 2018. She was born in Knoxville, TN; daughter of the late Cecil and Ruth Godfrey. She enjoyed gardening, cross stitching, spending time with her family, and loved taking care of her dogs Molly and Taffy. In addition to her parents she is preceded in death by her grandson, Matt Baynard and brother, Bill Godfrey. Elizabeth is survived by her daughter, Michele (Terry) Kirby; son, Steve Reynolds; grandchildren, Arizona (Jacqueline) Kirby, Zebbi (Jason) Sampler, Kristianna Breeding, L.A. (Jennifer) Kirby; four great grandchildren; and sister, Kathy McCarter. To send flowers to the family of Elizabeth Ann Woodard, please visit our Heartfelt Sympathies Store. Michelle and family, I am so sorry to hear of your loss. I know how painful this is and how empty your hearts are feeling at this time. Your friends are near when you need us. We love you and will keep you in our thoughts and prayers. My sweet dear friend I will miss the email conversations we had and the silly facebook shares. But I know you are no longer in pain and you are joined with Bill now. I love you still and will keep your memory alive by keeping your emails and reading them from time to time.